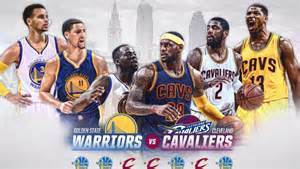 The Golden State Warriors-Cleveland Cavaliers match-up in this year’s NBA Finals is a repeat of last year’s title series won by the Warriors. It is the 14th time in NBA history that two teams played in the NBA Finals in consecutive years. Those 14 occasions are the most of the four major sports. Repeat finals teams have squared off nine times in the history of the NHL; it has happened nine times in Major League Baseball. In the NFL, however, there has been only once where the teams that played in the Super Bowl appeared in the game the following year. Let’s take a look at the repeat finals match-ups in each of the four major sports. As I’m sure you noticed, there were two instances where two teams played for the championship in three straight seasons: In the NHL from 1954-56 when the Red Wings and Canadians did it three years straight; and in MLB when New York teams the Yankees and the Giants played in the World Series each year from 1921-23. In the 32 previous times prior to the Warriors and Cavs meeting for the second straight season, the same team won the title in back-to-back seasons 17 times… in 13 seasons the two teams split championships. In the two cases where teams played each other in three straight seasons, one team won two straight then lost the third time. Could the Warriors and Cavs become the first NBA teams to go back-to-back-to-back?